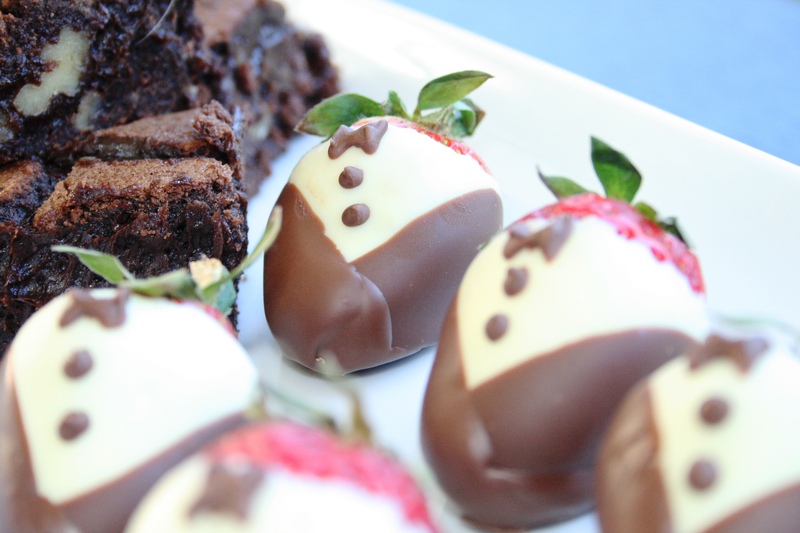 I recently saw a photo of chocolate dipped strawberries decorated as charming little tuxedos, and just couldn’t resist passing on the good idea. So I gave it a go, and they are deceivingly easy to make, all you need is some good chocolate and a steady hand. Step 1: For the “shirt” dip the whole strawberry in white chocolate and let it dry in the fridge for about 20 minutes, or until completely set. 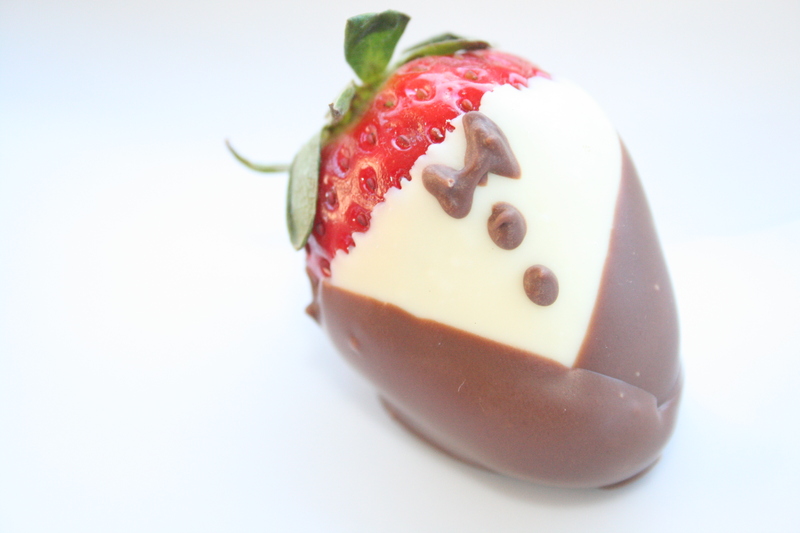 Step 2: For the first lapel dip the strawberry into milk chocolate at a 45° angle and dry in the fridge for a few minutes until set. 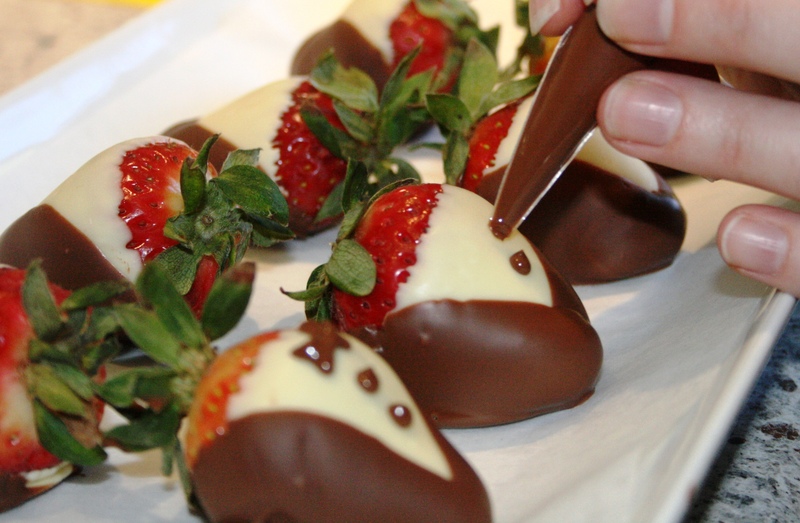 Step 3: For the second lapel dip the strawberry again at a 45° angle in the opposite direction and let it dry. Step 4: Pour the left over milk chocolate into a small piping bag to pipe two buttons and a little bow onto the “shirt” area and let completely dry. 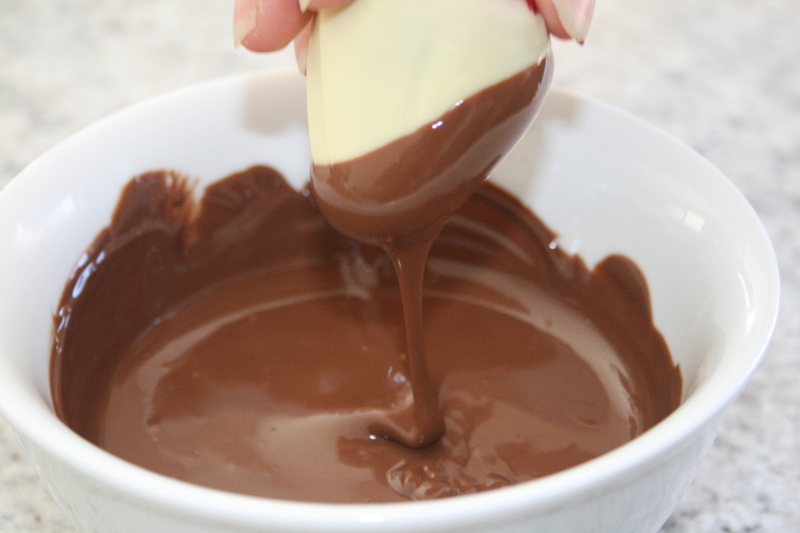 If you don’t have piping bags, you can just use a small zip lock bag, pour the chocolate into one of the corners and snip off a very small piece of the corner. Wow, these are beyond cute! 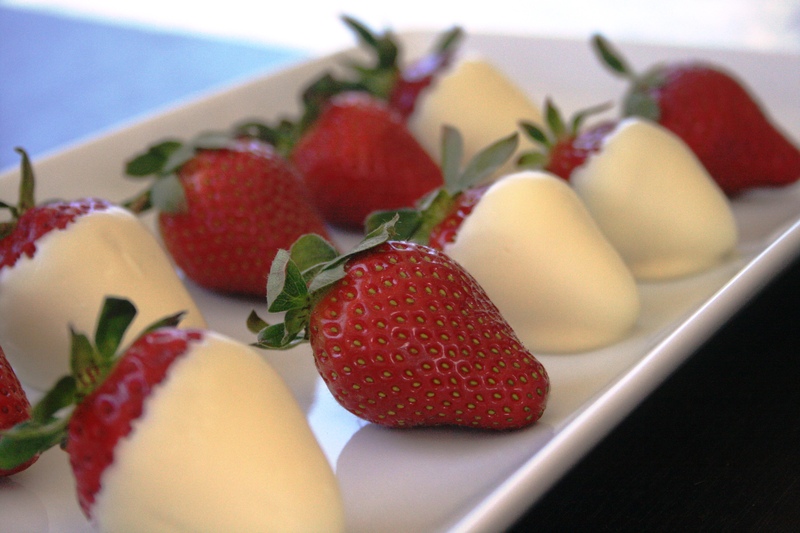 These strawberries are so yummy and so easy to make. Can’t wait for your next mouth-watering treat. Thank you so much Wynand, glad you liked them! Thank you!! They are really quite easy to make – I’m sure yours will turn out just as well 🙂 must say that I am loving your blog name too – very much sums up my life!! Hi Esté, I made these recently and have posted about them on my blog (linking to yours of course). Thanks so much for the inspiration, they were delicious! Aoife! You are too kind! Thank you so much for mentioning me in your post, I feel so honoured…it is the first time that somebody else is blogging about something that I made!